1. Learn as much as you can from everyone with who you work, not just your direct boss or supervisor. 2. Don’t be afraid to ask questions, and don’t be shy about going directly to the experts. If you don’t understand the P&L, ask the business manager to explain it to you line by line. 3. Treat others as you would like to be treated. First-time authors are nervous, as you would be if you were in their shoes. So take the time to explain publishing processes to them. Assistants work really hard to keep the entire business running, so always take the time to thank them for a job well done and for all of their effort and important work. Tell us about the FSG team and how the company differs from other publishing houses you have experienced. I may be biased, but I think the FSG editorial team is the best around! The group is comprised of: Margaret Ferguson, publisher, Margaret Ferguson Books; Wes Adams, executive editor; Janine O’Malley, senior editor; Grace Kendall, editor; Susan Dobinick, associate editor; Angie Chen, editorial assistant. We work together very closely, and every project anyone is thinking of acquiring first goes through our editorial meeting. Everyone comes to the meeting prepared to give and receive honest and considerate feedback. We support each other’s projects and celebrate each other’s successes. All of MCPG is like that – it’s the most collegial atmosphere in which I have ever worked. People in every department – sales, marketing, publicity, etc. – invest in the books and share ownership with the editor, so the editor doesn’t feel as though she is the book’s only advocate. How would you articulate the type of illustrations FSG is interested in commissioning? Each of our editors has his or her own unique tastes, but I’d say on the whole that we are interested in working with artists with fresh, unique styles. Personally, I like art that’s modern, graphic, a bit left-of-center, that has a little attitude, that’s not entirely cute and fuzzy. Some artists I’m working with whose styles I love include Rachel Bright, Bob Staake, Hyewon Yum, Blanca Gomez, and Julia Kuo. Describe the book making process at FSG using a recent example. My favorite types of books to make are the ones that only we can publish, meaning they start with a home-grown inspiration or idea. For example, I received a postcard from the agent Chris Tugeau featuring an adorable illustration of a bunny bus by Lesley Breen Withrow. I thought, I’d love a book about this character! So I reached out to an agent I know who has a great stable of picture book authors, Erin Murphy from EMLA, and shared the artwork with her. One of her colleagues, Ammi-Joan Paquette, who is both an agent and an author, took the idea and ran with it. She presented a wonderful manuscript that my colleagues and I all thought was fantastic when we discussed it at our edit meeting. Then my publisher signed off, and I presented the project at our acquisitions meeting. It was approved, and I made offers to the author and artist this week. The next step will be for me to make any minor edits to the text, and then when it’s final and copyedited, the designer can break it down page by page for the artist. She’ll submit sketches, the designer and I will review them and make comments, and I’ll share the sketches with the author. If revised sketches are needed, we will request those, and then the author will create final art. The sales and marketing folks have a say when it comes to the cover, and I truly value their opinion as I want us to go out with books that are most appealing in the marketplace. Who have been some of your most significant mentors? All of my bosses have been terrific mentors. My first boss, at Puffin, was Tracy Tang. 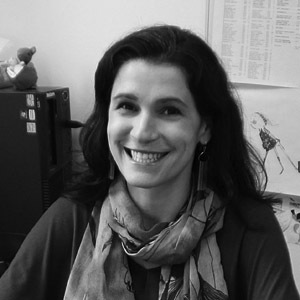 Tracy had a strong artistic sense and also a MBA, so she taught me a lot about looking at what we do in publishing from both a creative and a business perspective. Tracy was also a demanding person, and at first that scared me, but over time, I learned to think tasks all the way through and to work carefully and thoroughly, and I think that level of attention to detail has served me well as I have advanced. My next boss was Craig Walker at Scholastic. Craig passed away at 2005, and I like to refer to him as The Most Wonderful Man Who Ever Lived. His picture is right in front of my computer, and I like to think he is watching over me. Craig was funny and warm and smart and wonderful and a straight-shooter in the kindest way. He once said to our editorial group, “I like to think of it as my mission to help you all be as creative as possible.” He said that soon after I started at Scholastic, and it was all I could do to contain myself from running across the room and hugging him. My next boss was Regina Hayes at Viking. Working for Regina was literally a dream come true, and my eight years at Viking passed like eight weeks. Regina is a natural leader, a woman of unparalleled taste and equanimity, and impressive grace and modesty. And now I work for Simon Boughton, who is a perfect mentor. I came to FSG in part to learn from Simon, as I truly admire the way he approaches business and management. I learn something new from him every day. 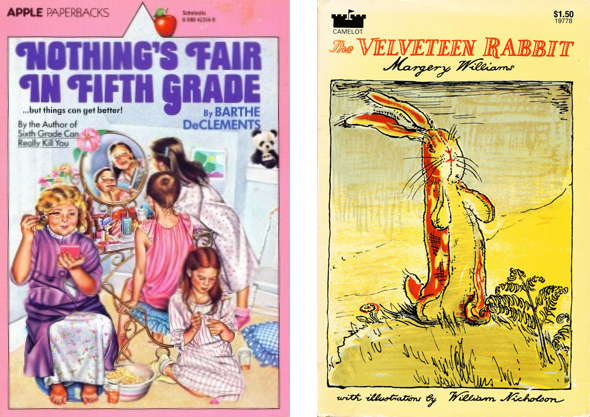 THE VELVETEEN RABBIT, NOTHING’S FAIR IN THE FIFTH GRADE, and STARRING SALLY J. FRIEDMAN AS HERSELF. True classics! 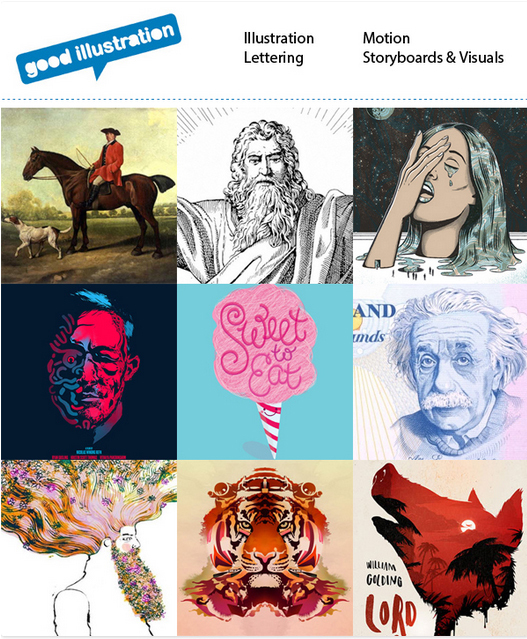 What advice would you offer illustrators looking to appeal to FSG? Look at books we have published recently to get an idea of our sensibility. 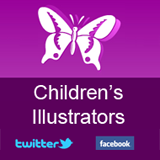 I’d also definitely take out a portfolio on Childrensillustrators.com as I use the site often for my searches. Send postcards! I have an inspiration wall right behind my desk where I stick postcards showing artwork from folks with whom I’d like to work with. Whenever I need an artist for a project, I visit Childrensillustrators.com and look at my board to get ideas. Talk us through your biggest success story. 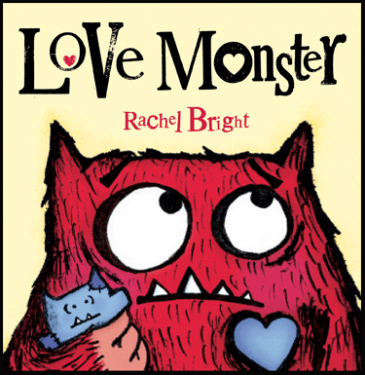 A recent big success was with the book LOVE MONSTER, by Rachel Bright. We originally thought we could sell about 12,500 copies (lifetime) of this picture book. But Barnes and Noble chose it for a special Valentine’s Day promotion, and now we have sold close to 100,000 copies in just four months! Name some of your favourite children’s book characters and explain what makes them so memorable. I love Elsie from NOTHING’S FAIR IN FIFTH GRADE because I’m really interested in the issue of fairness, and I guess I always was as a child. Elsie felt a lot of things in her life were unfair – her weight, the way her mom and classmates treated her, etc. In the end, she learned she had to take some responsibility for herself and not just see herself as a victim. What is your vision for the future of the FSG imprint? My goal for FSG can best be summed up as follows: Sell more excellent books. I want for us to publish books of the highest quality with lots of commercial appeal. We had a terrific 2013, and I have high hopes for the future. This entry was posted in Publishing on May 13, 2014 by Creative Interviews.